People tracking this case: 5 -- Click here to Track this. 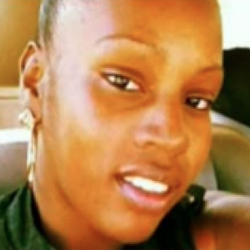 31 year-old Kisha Michael and 32 year-old Marquintan Sandlin, both single parents of multiple children were shot and killed when Inglewood police opened fire on them while they were inside a vehicle. Authorities initially alleged that Michael was armed, but in later statements, the mayor indicated that the two were unconscious when police accosted them. Michael was pronounced dead at the scene; Sandlin was taken to a local hospital where he later died from his injuries. The incident began about 3:10 a.m. when uniformed officers responded to a call of an occupied vehicle that was stopped and facing westbound in the second lane at the intersection of Manchester Boulevard and Inglewood Avenue, according to a news release from the Inglewood Police Department. When they arrived, the officers saw an armed female inside the car, police officials said in a release. Other reports indicate that the two were apparently out on a date, having left their children in the care of family members. They had too much to drink and ended up passing out, which drew the attention of police, who claimed the woman was holding a gun. Kisha's sister claims she has never owned a gun. At one point, the couple apparently did wake up, which led to the gunshots. The officers then opened fire on both occupants, but police did not say what exactly prompted the shooting. It was evident from shell casings at the scene that military grade rifles had been fired.